The Bitfury Group, the world’s largest full service Blockchain technology company and co-creator of the Blockchain Trust Accelerator, announced today that the cutting-edge Blockchain land-titling project it is building with the Republic of Georgia’s National Agency of Public Registry (NAPR) is successfully progressing and will continue to advance in 2017. Thanks to this success, Bitfury and NAPR have also signed a new Memorandum of Understanding (MOU) to expand its groundbreaking Blockchain technology solutions to other government departments. The Republic of Georgia was named by the World Bank in its “Doing Business” survey as one of the top three countries for ease of property registration, as well as a top 20 country for ease of conducting business, due to its transparent and user-friendly property and business registration systems. Tea Tsulukiani, Georgia’s Minister of Justice, said that the Ministry of Justice of Georgia is “the leading ministry in the field of new technologies in terms of e-government, together with two other colleague ministries.” “We will be able to work with Blockchain technology from this summer [to] place real estate extracts in a totally safe and innovative system,” Tsulukiani said. 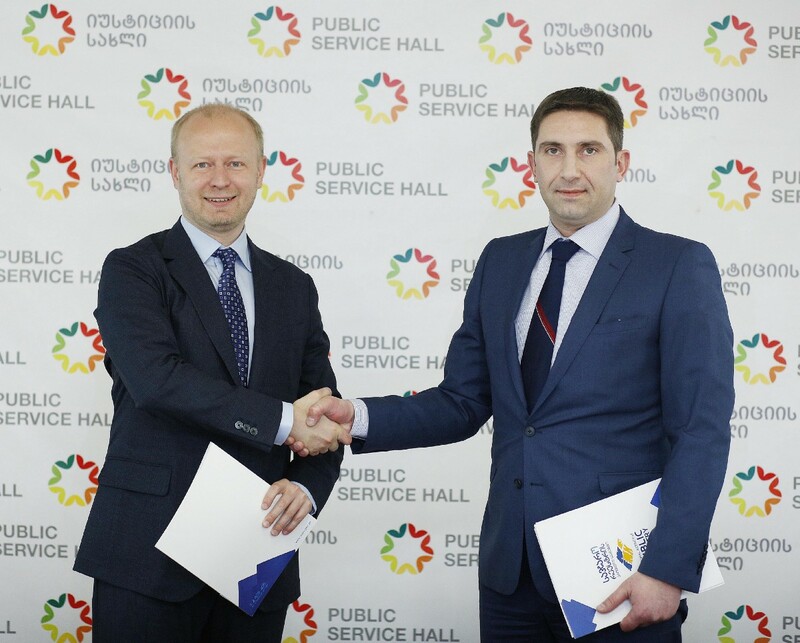 Papuna Ugrekhelidze, chairman of the National Agency of Public Registry in Georgia, said his department is “very pleased with the technical progress and looks forward to continuing [their] fruitful collaboration.” “Blockchain technology is the solution for the 21st century, and is its most secure and innovative system,” Ugrekhelidze said. “I have dedicated my life to improving access to capital, and our work in the Republic of Georgia is the first in a series of many important steps to bringing corruption-proof digital systems to all,” de Soto said. In April 2016, The Bitfury Group announced that it signed an agreement with NAPR to pilot the first Blockchain land-titling registry in the Republic of Georgia. The Bitfury Group and NAPR successfully implemented a custom-designed Blockchain system that is now integrated into the digital records system of NAPR. This private, permissioned Blockchain is anchored to the Bitcoin Blockchain through a distributed digital timestamping service. Distributed digital timestamping allows NAPR to verify and sign a document containing a citizen’s essential information and proof of ownership of property. This important timestamping service also allows citizens to ensure their documents are legitimate without exposing confidential information. This is possible by providing citizens with unique documentation known as a “hash.” This document hash is published to the Bitcoin Blockchain and can be verified whenever a request is made, benefiting from the Bitcoin Blockchain’s unmatched security. Blockchain technology first provides incorruptible security. A secure property registry built on the Blockchain can secure billions of dollars in assets and make a significant social and economic impact globally by addressing the rapidly growing demand need for transparency and accountability. 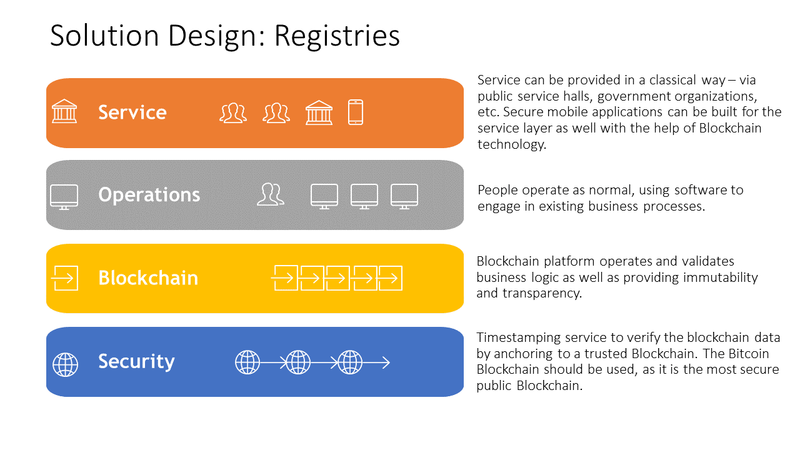 A Blockchain-based registry also allows government and individuals the ability to audit quickly. 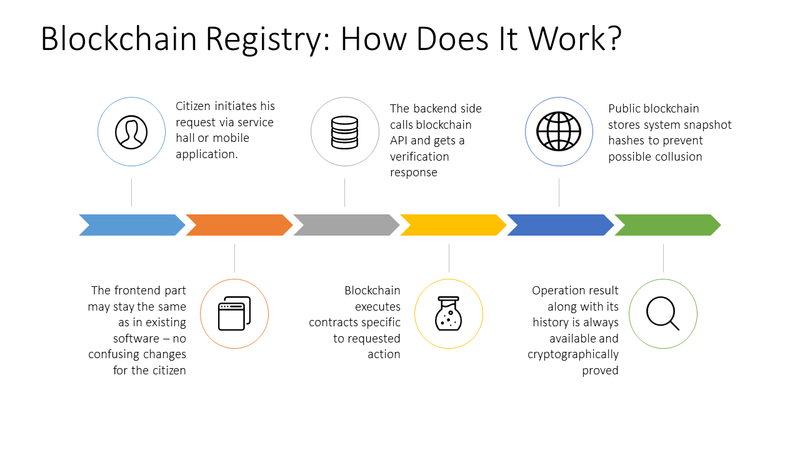 Finally, a Blockchain-based registry allows for substantial reductions in the cost and time required to register and transfer property. The Blockchain Trust Accelerator is harnessing one of the most significant innovations of our time — Blockchain Technology — to build solutions for social impact and governance challenges. Working together with a broad range of institutions, organizations and companies, the Accelerator generates pilot projects that deliver positive social impact along with insights into how Blockchain can enhance accountability, efficiency and transparency. The Accelerator is a partnership between The Bitfury Group, New America and the National Democratic Institute.